The Screen Actors Guild Foundation hosted its 4th Annual Los Angeles Golf Classic, a major fundraiser benefiting the SAG Foundation’s Catastrophic Health Fund and Emergency Services Assistance Programs, this week at the Lakeside Golf Club in Burbank. Hosted by Dennis Quaid and Aimee Garcia, the event brought together celebrities and executives from the entertainment industry to raise over $320,000 for performers facing life-threatening illness and severe economic hardship. "It was a perfect day for golf and an even better day to support our fellow performers by raising significant funds for the SAG Foundation. We want to thank our hosts, the players and our generous sponsors for donating over $320,000 for our Catastrophic Health Fund and Emergency Assistance programs," said JoBeth Williams, President of the SAG Foundation. "It is a pleasure to be associated with the SAG Foundation and this great event. The fact is we all know actors who are struggling to make rent and bills. It’s part of the life of an actor. We also know performers who are dealing with severe illness or injury and may need a helping hand. 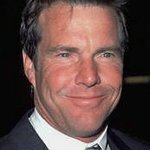 The SAG Foundation LA Golf Classic is about actors giving back to their fellow actors and I was proud to be a part of it," said Dennis Quaid, Host of SAG Foundation LA Golf Classic. Casamigos, actor George Clooney's new ultra-premium tequila brand, hosted an on-course tasting followed by a cocktail reception. Clooney also sponsored a team. The tournament concluded with a dinner and awards ceremony where hosts Dennis Quaid and Aimee Garcia presented prizes and trophies to the top teams and players. The first place net team went to the Puma Team which included celebrity player Scott Wolf. The second place net team went to a celebrity team including Gabriel Aubry, David Leisure, Danny Masterson and Michael Pena. The third place net team went to the Carson Foundation Team which included celebrity player Tom Welling. Other prizes were given for Closest to the Pin and the Men’s and Women’s Longest Drive, with sixteen-year-old actor Kathryn Newton taking both contests for the women. George Lopez was the top bidder during the live auction, taking home a set of Puma golf clubs and a Lamborghini watch auctioned to benefit the SAG Foundation. Actor Carlease Burke, who was helped by the work of the SAG Foundation’s Emergency Assistance program, also spoke to share her story and thanked the actors for their support. The tournament was generously sponsored by Integrated Wealth Management for the third consecutive year. Additional major sponsors included United Airlines and the Carson Foundation. With the support of the entertainment community and generous sponsors during the past four LA Golf Classics, the SAG Foundation has been able to raise over $1.1 million towards its goal of providing emergency assistance and catastrophic health care to performers and their families. This fall, the SAG Foundation will host the inaugural New York Golf Classic on October 7 at Trump National Golf Course in Westchester County to be hosted by Ron Perlman. For more information on the New York Golf Classic, please visit www.golf.sagfoundation.org.